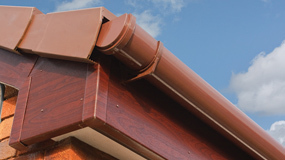 A typical soffit installation is made of the same material as the sidings of the eaves – often wood – and completely covers the bottom of the eaves. In older buildings the soffits may allow for ventilation in order to improve the circulation of air in the roof, although this design has become less popular of late. 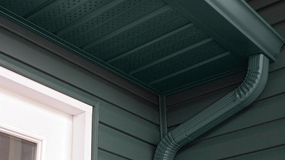 Soffits, fascias and eaves are terms which are often used interchangeably, but to be specific, the soffit is the part you can see when you stand under the installation and look directly up. This position means that, in many ways, the soffit is less likely to suffer from weather damage than, say, the fascia or the roofing. That doesn’t mean, however, that the soffit is invulnerable. What Kind of Things Can Go Wrong with Your Soffit Installation? Damage Caused By Animals – Soffits have a special kind of appeal for a wide variety of wildlife. You may find damage caused by rodents, such as squirrels, looking to gather food. Birds may decide to make their visit more permanent, viewing your soffits as ideal places to build their own homes – beware of disturbing the nests of birds – many species are protected by law. Other creatures to look out for include bees, rats, bats, raccoons and mice. All of these could cause serious damage to your soffit installation and pose health and fire hazards. Ice Dams and Flooding – If you have icicles hanging from your roof, there is a good chance that an ice dam is building up. These are usually caused by the buildup of snow, which melts under the surface and runs down into the gutters. This water freezes and forms a dam, preventing drainage and causing internal flooding in your house. Unsurprisingly, this is a common occurrence after a Toronto The correct way to prevent this, is to address any heat loss issues your home may have. Ensure your roofing is properly sealed – it’s always best to have a professional do this, as it can be dangerous work. A Damaged or Blocked Gutter – This is perhaps the most common cause of water building up on the soffits and causing rot. You’re asking for trouble if you don’t regularly check your gutters for damage and ensure that they are cleaned properly. Neglecting to do this often means fallen leaves end up freezing and obstructing the passage of water, thus causing flooding to happen. If you notice the soffit coming away from the eave or showing signs of rot, there is a good chance that the damage has spread to the underlying structure. Carrying out repairs can be tricky and is a job that is best entrusted to professionals. Whether you live in Milton, Oakville, Burlington or another town, you should try to find the most experienced tradesman you can to deal with it. Handymen and siding companies might not be equipped to deal with replacing rotten material in your soffit installation. 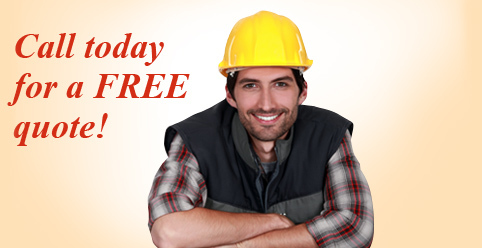 Be sure to hire a contractor who is fully licensed and insured. 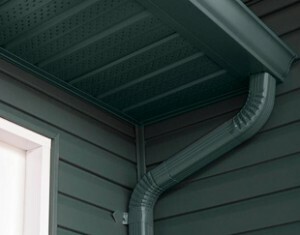 The soffit is a little understood component of your home’s exterior protection system. Without it the rafters that comprise the framework of your roof would be exposed to the elements and your entire house would rot from the inside out. Because so few people are aware of what soffits are and what they do it’s none-too-difficult for unscrupulous contractors to burn customers on soffit installation projects. In this post we’ll talk a bit about what the soffit does and how to avoid getting ripped off when it comes to their installation. Protection from the elements: Without soffits the entire upper portion of your home would be exposed to the elements. Soffits prevent rain, snow, sleet and windborne debris from infiltrating your home’s framework and wreaking havoc. In severe climate areas like Milton, Oakville, Burlington and Toronto that’s particularly important. Protection from infestations: Soffits defend your home from raccoons, squirrels, hornets, birds and other forms of infestation. These critters spend a great deal of time looking for safe, dry places to call home. Without soffits word would get out quickly that your home is just such a safe haven. Damaged soffits can also lay out the welcome mat for pests. Ventilation: Proper ventilation is important for the upper part of your home. Good air circulation allows the home to breathe and keeps destructive, moist air moving rather than stagnating and causing mold and rot. If there is no other form of ventilation in your attic you’ll need vents in the soffits to provide that important ventilation. Unneeded replacement: Some contractors looking to make a quick buck will come to you during an eavestrough installation and tell you you need to have your soffits replaced as well. They’ll spin tales of doom and gloom hoping you’ll sign up for something you don’t need. It’s a good idea before you have any work done on or around the gutters to make a visual survey of the soffits. Incredible deals: If someone provides a bid for soffit installation that’s way below every other bid be wary and ask yourself “Where are the savings coming from?” Since labour is the contractor’s largest expense the savings will likely come in the form of rushed, shoddy workmanship. Corners will be hastily fabricated, match poorly and contain gaps. Nails won’t be properly countersunk. If the soffits are wide they may not bother to install a necessary centre support strip. Second rate materials: Another place unscrupulous contractors will cut corners is in the quality of the soffit material. Aluminum soffits are typically your best bet but they’re available in a variety of gauges. Discount installers will go straight for the cheapest, lightest gauge aluminum they can get their hands on. These lighter gauge soffits will be more susceptible to dings and dents during installation and won’t last as long. Lots of companies promise great deals on soffit installation but if the materials used are second-rate, the work rushed and the company unavailable to correct their mistakes a great deal turns out to be no deal at all. The best way to ensure you’re getting a good deal on your soffit installation is to partner with a company that has a proven track record of quality work at affordable prices. In Milton, Oakville, Burlington and Toronto that company is Alliance Trust Aluminum.